Leaders in the Fire and Safety Equipment Field, Canadian Safety Equipment is the premier source for Fire Fighting Equipment, Confined Space Entry/Rescue Equipment and Lone Worker Monitoring Systems. We were founded in 1989 and are proud to be 100% Canadian owned and operated. We offer products to the FIRE, RESCUE, HAZMAT, POLICE, MILITARY, MUNICIPAL and INDUSTRIAL MARKETS from over 95 quality suppliers. We are federally approved for Controlled Goods sales and have a National Master Standing Offer on several products for the Federal government. Our GOAL is to provide a broad range of quality products from the finest manufacturers in North American and abroad. All of our Sales and Service staff are full time employees who are experienced, knowledgeable, and dedicated to servicing you and your fire and safety needs and requirements. WE ARE THERE WHEN YOU NEED US. We offer a mobile service on all our breathing apparatus and auto extrication equipment including an onsite respiratory fit testing service. This new website was designed to help you quickly access our product information. Because the 95+ suppliers we represent provide far too many products to show them all here, we have provided a link at the end of each manufacturers section to take you directly to their website. In addition we have our own search engine to help you quickly and easily locate a product and its manufacturer. And if that’s not enough, you can always pick up the phone and call us toll free at (800) 265-0182 or email us at info@cdnsafety.com. Visit our Specials and Clearance page. SHUTGUN: Automatic Sprinkler Head Shut Off Device. Buy the SHUTGUN online! CANADIAN SAFETY EQUIPMENT has long been a supporter of “LADDERS-UP” and this year we are participating to a greater degree. Some of our suppliers have come on board with CANADIAN SAFETY EQUIPMENT and made some special donations. EFLARE, an Australian manufacturer of the popular Eflare electronic road flares have donated $5000 worth of Eflare First Responder Kits. These kits will be sold through CANADIAN SAFETY EQUIPMENT and 100% of the revenue will be donated to “LADDERS-UP”. If you are planning on purchasing Eflares for your trucks’, call us and ask for the “LADDERS-UP” Kits. These kits include 4 red electronic road flares, 4 bases and a storage bag. The Special price for these kits is $365.00 plus shipping and taxes. There is a limited number of these kits on special offer so order quickly knowing that for each kit sold $365.00 will go to “LADDERS-UP”. Congratulations to the Norris Point Fire Department in Newfoundland who purchased the first kit. FLAMEGUARD is the manufacturer of the X-TINGUISH® FST portable fire suppression device. When the device is deployed at the scene of a fire, the X-TINGUISH® FST releases a cloud of aerosol containing potassium components, interrupting the chain reaction in the flame. It is not a fire extinguisher and not intended to replace any fire extinguishers that are required by NFPA 10. The unit consists of a steel housing containing chemical agents that form the aerosol, separated by an insulating barrier; a handle for ease of transportation and deployment and a securing pin that is used to activate the X-TINGUISH® FST. When the unit is deployed and its aerosol is released, the aerosol drastically reduces the heat of the room immediately (as much as 1,000°F in less than 1 minute). The aerosol absorbs the flames energy interrupting the thermal activity from the chemical reaction taking place without removing oxygen from the enclosure. 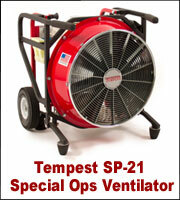 FLAMEGUARD has provided two of these (Total Value $2000) units for sale. 100% of the proceeds go to LADDERS UP. They were both purchased by the North Wellington Fire Department resulting in $1850 going to Ladders UP.